My second visit and returning to a place is always a good sign. I wanted somewhere quiet, secure, clean and convenient for the old town and supermarket and 24/7 bakery! Would stay here again. Very comfortable stay, lots of space and perfect for a great sleep. Extremely clean and lovely, helpful staff. 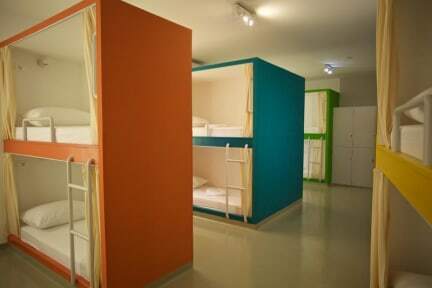 My stay at hostel Emanuel was fabulous. 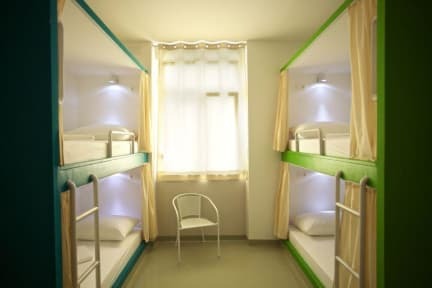 For such a small hostel it really left an amazing impression. The staff are very helpful and so friendly, always checked that we were alright and that everything was okay. The rooms were great and very spacious. Would definitely recommend to others. Very nice place! Comfy beds with curtains for privacy, reading lights and outlets. Everything is clean and well organized. Ana is lovely and very helpful, thank you again! On the downside it’s way overpriced in my opionen - compare it to other places in Croatia and you will be wondering. Just leaves one with a bit of a put-upon feeling and takes away from a otherwise great stay. So homely and clean. Lovely small hostel. Really nice staff who let me check in early and have a shower. Would stay again! Really lovely experience at hostel Emanuel, great staff and facilities and great value for money, staff couldn’t do enough for you they were so polite and very friendly. We needed to be up early to get to the airport and they organised it for us so we were on time, the place is really clean as well, would definitely return again, overall a fab hostel! Great location, only a 10min walk to the port. Staff were friendly and check in process was easy. Great clean amenities, even a fridge in the dorm! No real communal kitchen or common space though. AC in the dorm was good and the beds were super comfortable along with being nice and private with the pull across curtain. Hostel could do with a bigger sign out the front as it was a little hard to find late at night. Would definitely stay here again. Great location only a short walk from the city centre. Staff were friendly and helpful with any info. Clean dorm rooms and bathrooms. All up was a good hostel to stay in and would recommend again. On the bad side it was a little hard to find the hostel especially when arriving at night for the first time as there was no real clear sign, directions were good but clear signage would help even more.